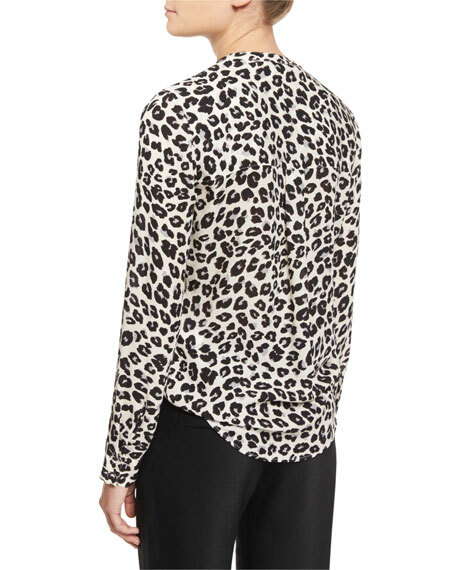 Veronica Beard "Harmony" blouse in silk with animal print. Approx. 29"L from shoulder to hem. 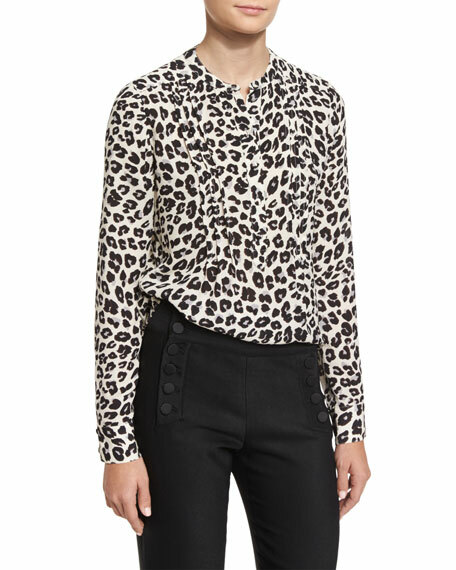 Model's measurements: Height 5'10"/177cm, bust 31"/79cm, waist 23"/58cm, hips 33.5"/85cm, dress size US 0/2. For in-store inquiries, use sku #1915643.